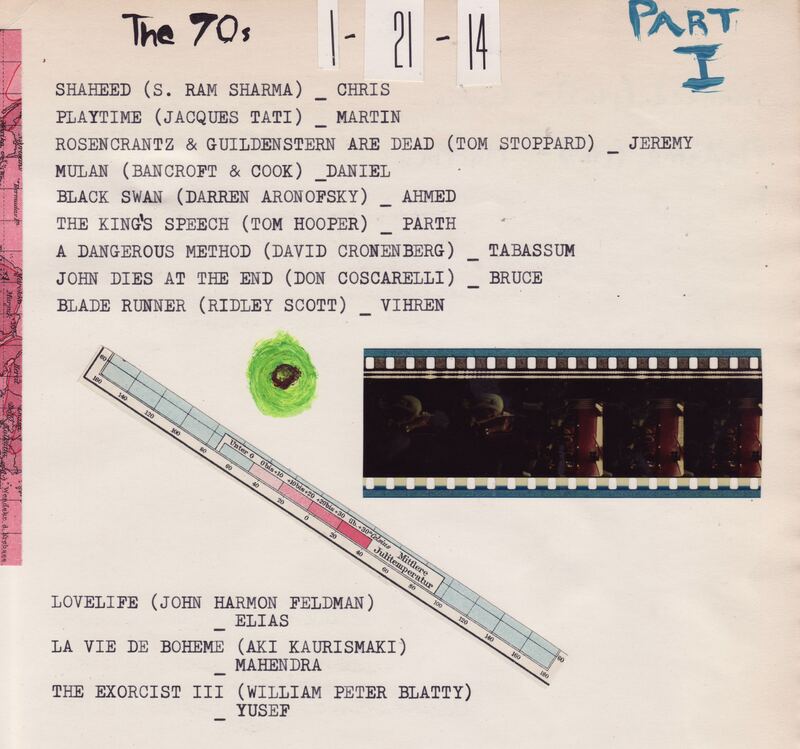 Here are the films/contributors to The 70s so far. The list includes film title, director, and first name of the submitter. Excuse all caps; my typewriter is stuck on them. Further updates to follow.